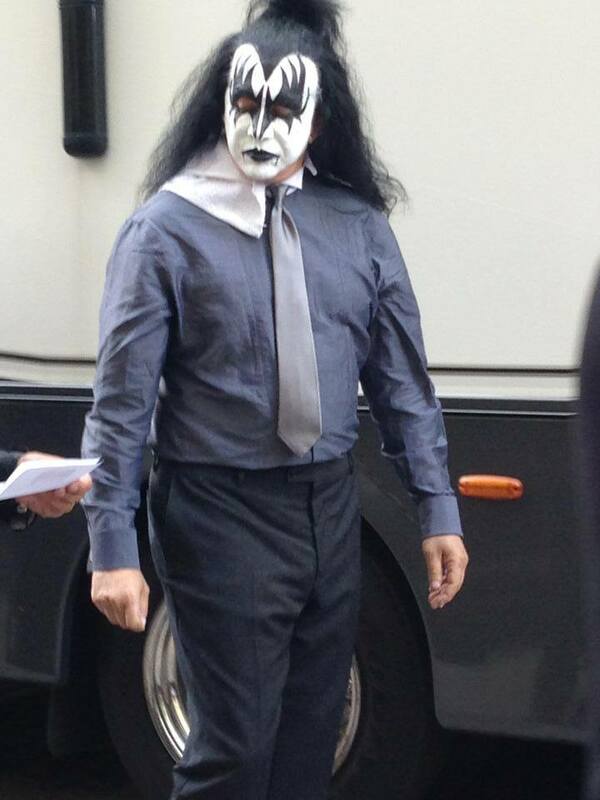 Bilder från en filminspelning med Kiss i ”Dressed to kill” klädnad. 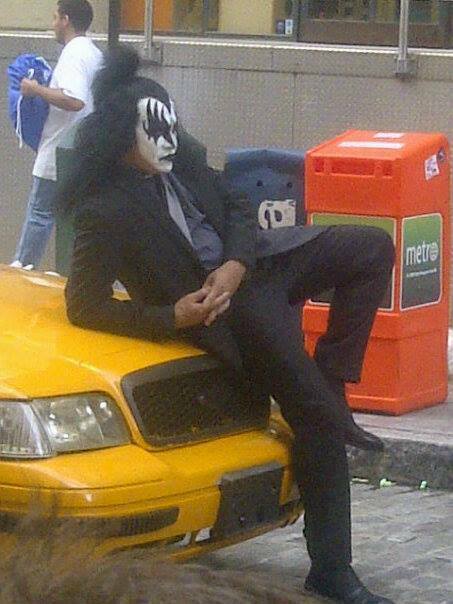 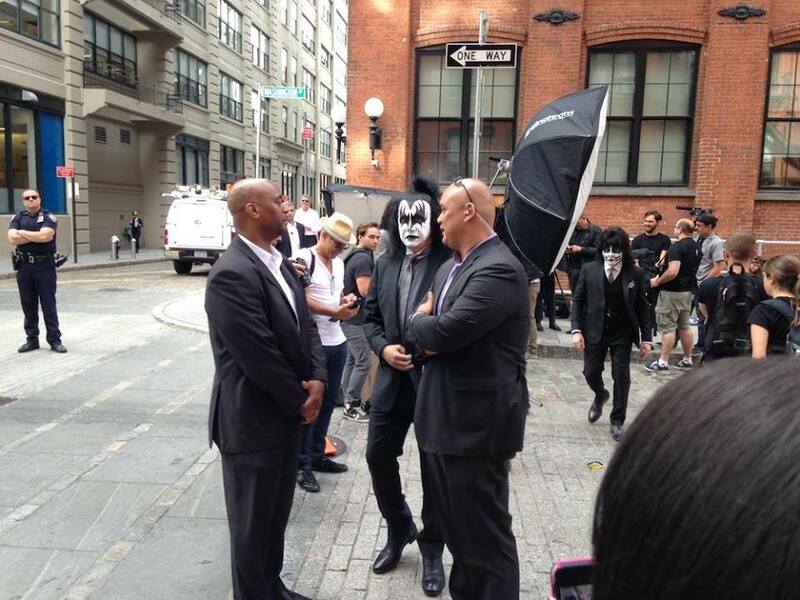 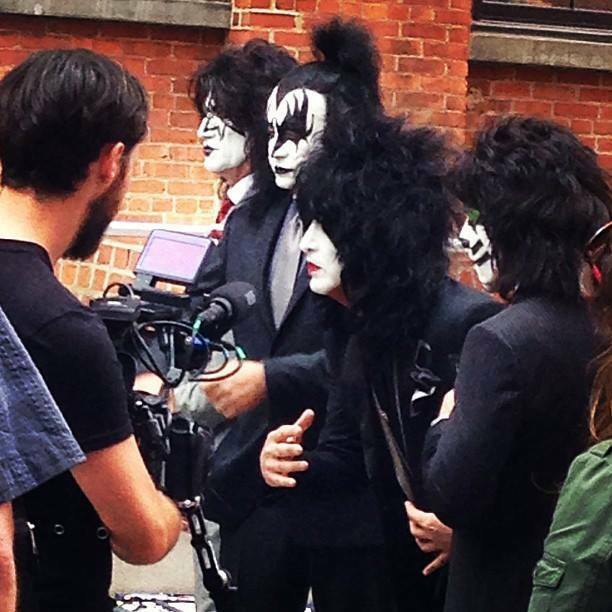 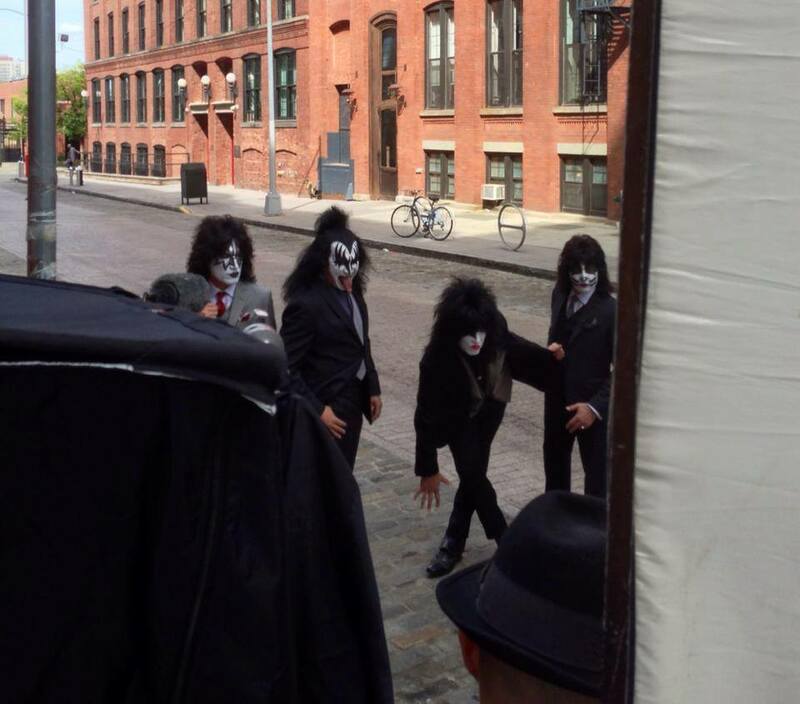 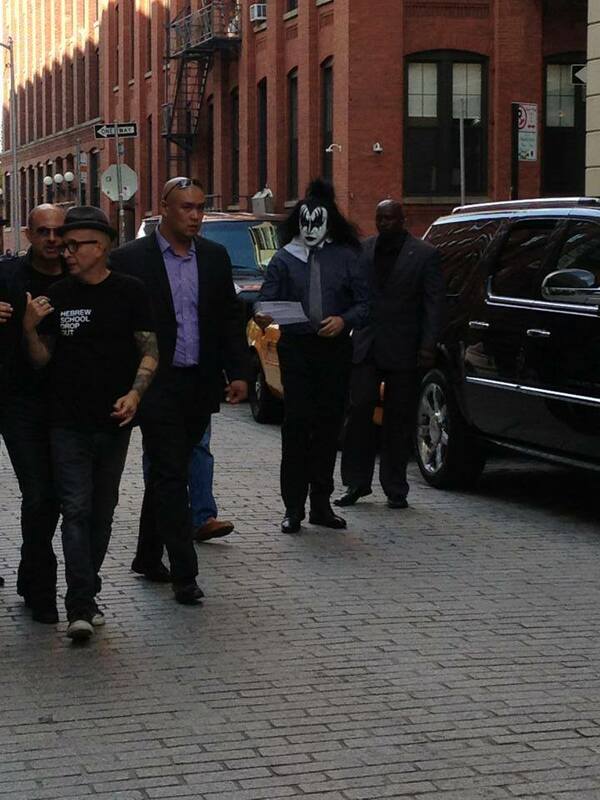 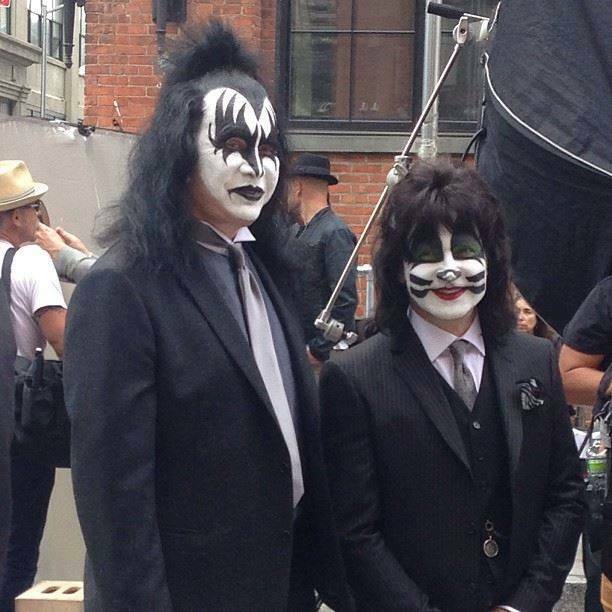 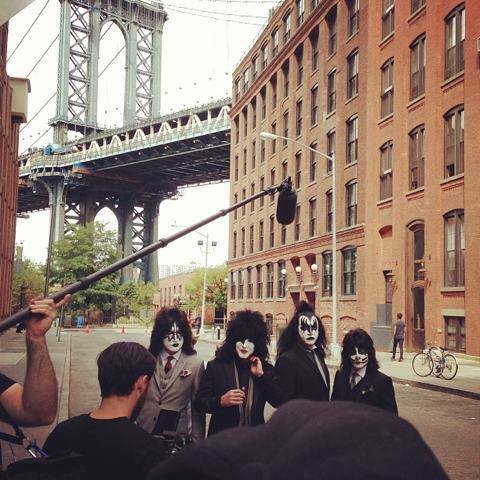 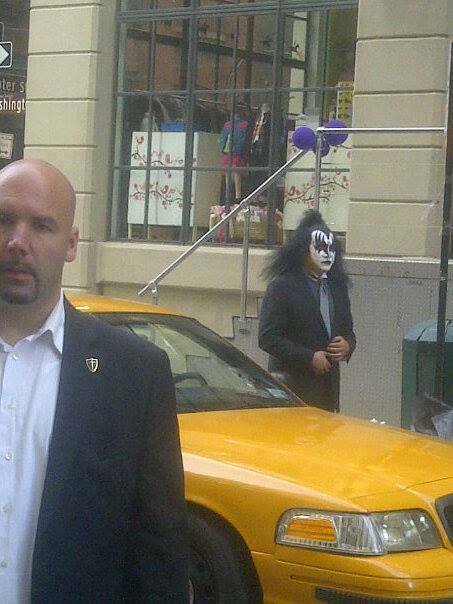 The quiet cobblestoned streets of DUMBO are currently being rocked by the long haired, long-tongued members of KISS. 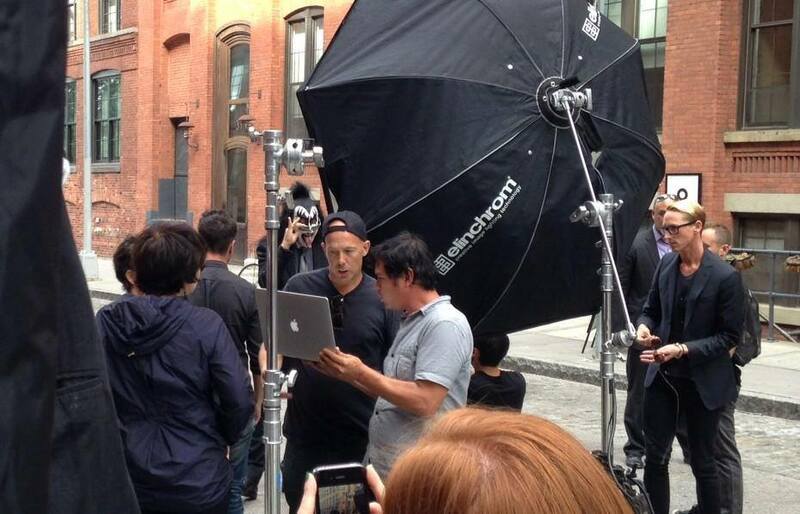 Twitter, Instagram, Vine, and Facebook have all confirmed the news. 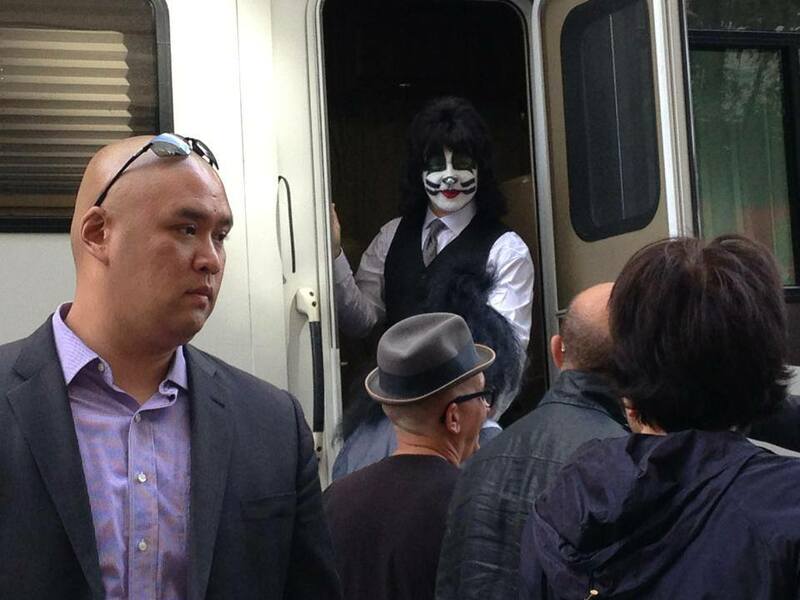 And our very own Jen Chung ran out of the office and to the scene with an urgency we haven’t seen since Jon Hamm was spotted eating soup on the UWS. 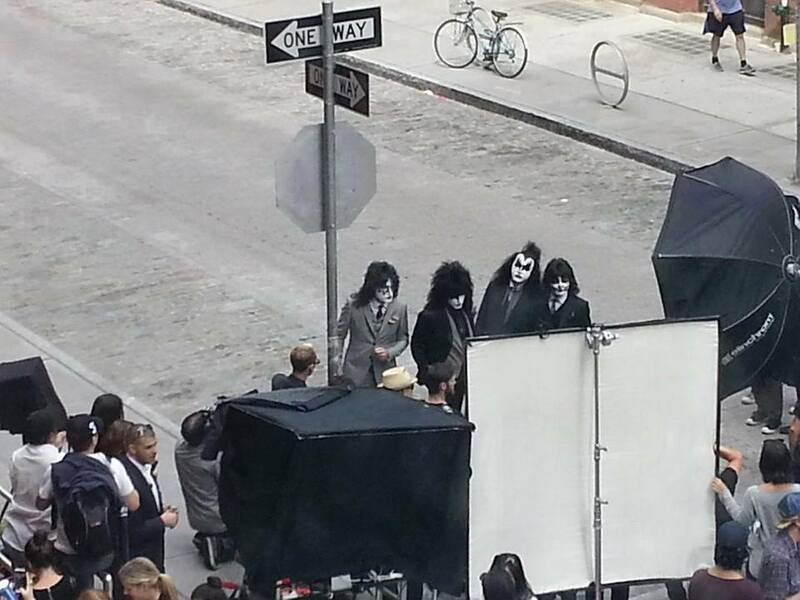 We’ll update with any info she gets on the field (like, maybe this isn’t really KISS, but some regular dudes just dressed like KISS? 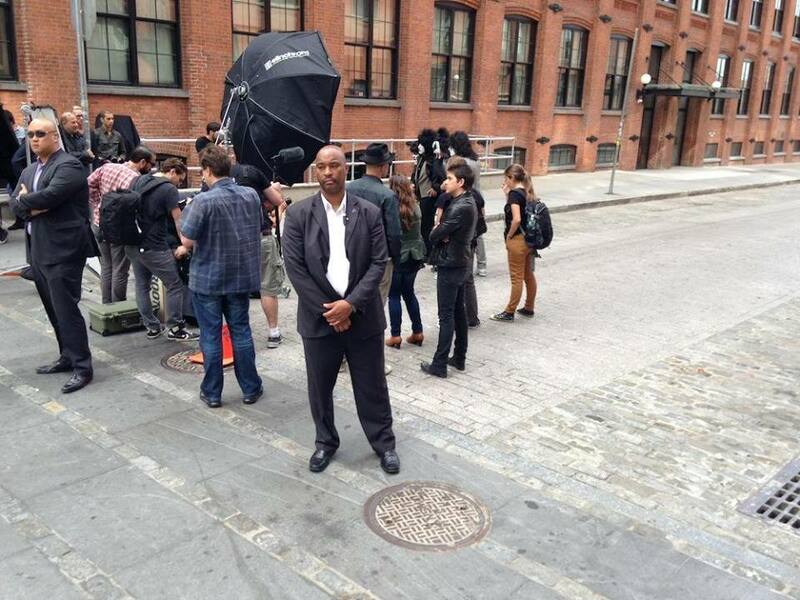 Improv Everywhere? 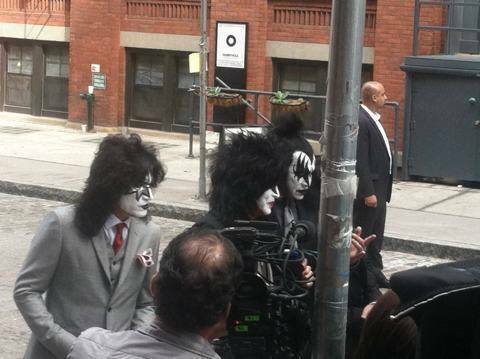 Why are they in suits?) 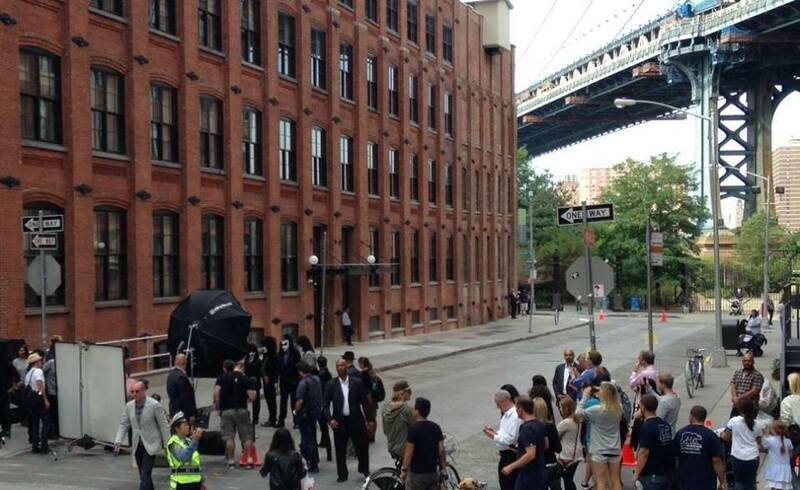 Anyway, here are some reactions from those who have stumbled on to the scene in DUMBO. 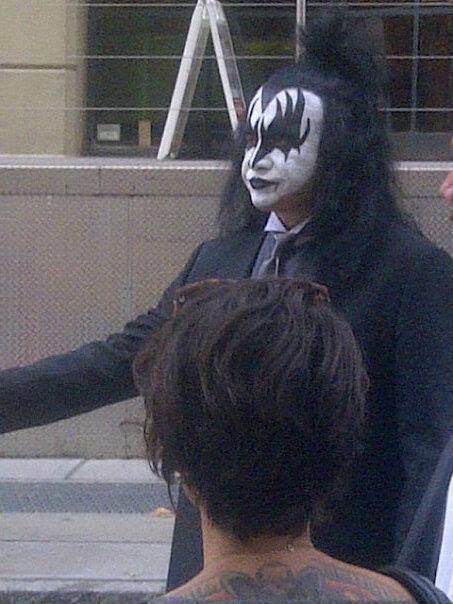 If you plan on going yourself, please note that the ”Valencia” filter works best for Instagramming KISS.